John Walker Lindh, or more properly, Inmate 45426-083, will be released from the federal penitentiary in Terre Haute, Indiana on May 23. 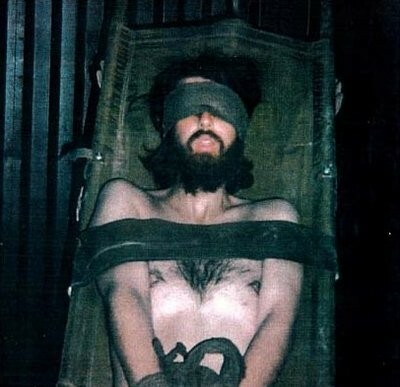 Lindh is fortunate to still be alive, and fortunate to not be serving a life sentence at the Supermax prison in Colorado - both of which I find disappointing. Lindh, now 38, is being released after serving 17 years of a 20 year sentence, a sentence reached in a plea deal to preclude the government from being questioned about Lindh's treatment after his capture on a battlefield in Afghanistan while fighting for the Taliban. 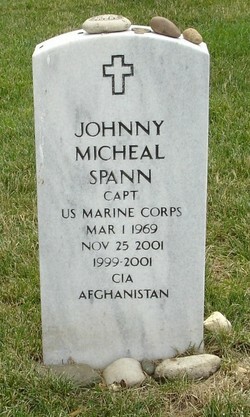 Many (including me) believe that Lindh could have prevented the death of CIA officer Mike Spann during a prison uprising in Mazar-i-Sharif. He was aware of the impending violence, but remained silent. Inmate 45426-083 now prefers the nom de guerre Abu Sulayman al-Irlandi, reflecting his status as an Irish citizen - he acquired Irish citizenship through his grandmother, and has stated that he plans to emigrate to Ireland after his release. Fortunately, that is not going to happen anytime soon. A federal judge has ruled that "Abu Sulayman" will be under supervised release for three years. Theoretically, during that time, he is precluded from having an internet-capable device without permission from his probation office, cannot view or access extremist or terrorism videos, and must allow the probation office to monitor his internet use. Lindh must also undergo mental health counseling. I doubt that will do much good - he's not mentally ill, he's a committed jihadist. Lindh has shown no remorse whatsoever for his past terrorist activities. Despite his father's continued crusade to whitewash his son's treasonous actions, he is a committed Islamist terrorist, and there is no reason to believe that he will not rejoin the jihad against the United States. "John loves America. We love America. John did not do anything against America. John did not take up arms against America. He never meant to harm any American, and he never did harm any American. 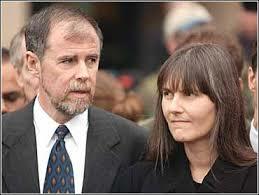 John is innocent of these charges." Tell that to the family of Mike Spann. 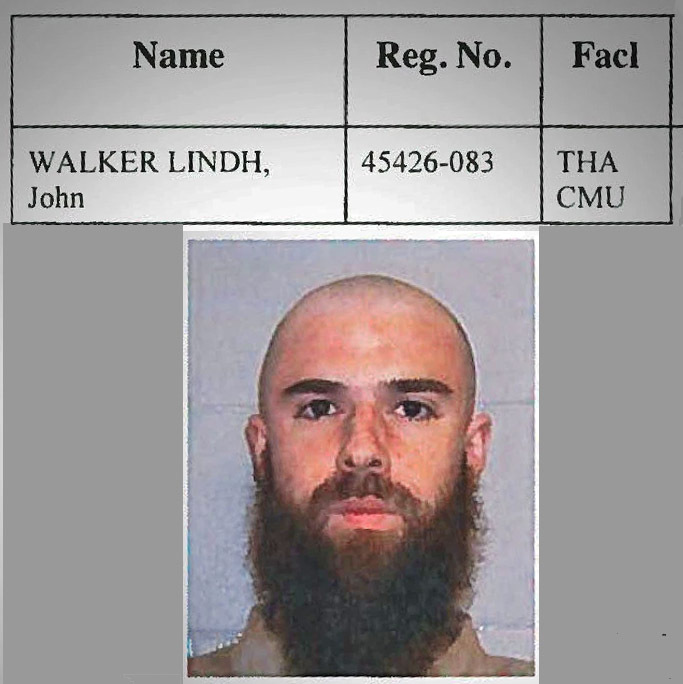 At his sentencing, Lindh said he went to Afghanistan and joined the Taliban to fight what he saw as the anti-Muslim Northern Alliance and learned later about the Taliban’s close connection to al-Qa'idah leader Usamah bin Ladin. "I want the American people to know that had I realized then what I know now about the Taliban, I never would have joined them." Dear Inmate 45426-083: I didn't believe you then and I don't believe you now. If it was up to me, you'd either be dead or rotting in an Afghan prison. I often make presentations on the Middle East to various audiences, including cruise ships. Surprisingly, there is great interest in the history of the region, particularly how the current borders were drawn by the United Kingdom and France. A friend recommended this film to me as it touches on that history. 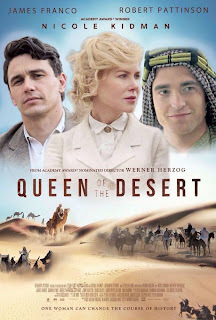 Of course, as soon as I saw the name Gertrude Bell, I had to watch it. She was one of the key British advisers as the Ottoman Empire was carved up after World War One, at a time when women were not readily accepted in this role. 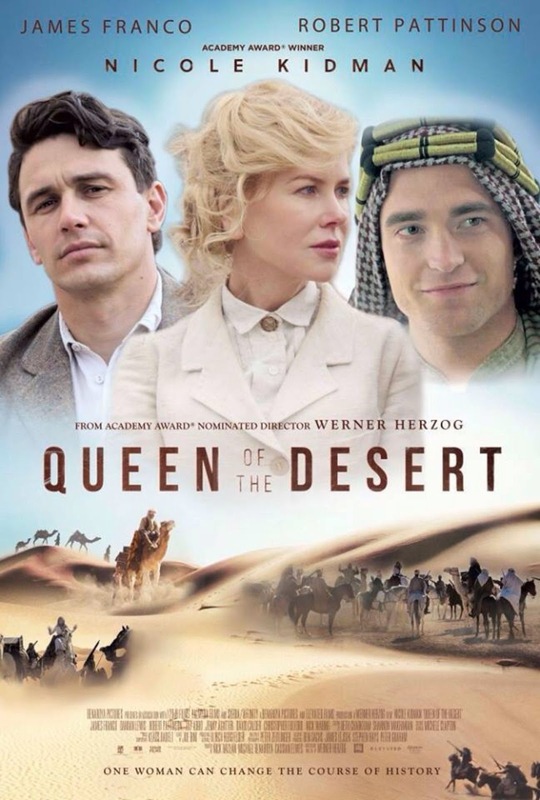 Queen of the Desert is a 2015 film that purports to be a biography of Gertrude Bell. I found it to be condescending and petty - Gertrude Bell was a pioneer who made major contributions to not only the British Empire (she was made a Commander of the Most Excellent Order of the British Empire), but to the nascent Kingdom of Iraq as an adviser to King Faysal. It was Gertrude Bell that proposed the borders between Iraq, Syria and Jordan, borders that remain virtually identical today. It was her understanding of the relations between the tribes in that region where the three countries and Saudi Arabia are closest that allowed the British to maintain political influence in the area. Although there are glitches and gaffes in every movie, one stands out to me. The opening scene is labeled as taking place in 1914 at the British Arab Bureau in Cairo, in which senior British officials (including Winston Churchill) and military officers are discussing the eventual carving up of the Middle East after the war. The war had just begun at that time, and the agreement being discussed at this meeting - the Sykes-Picot Agreement between France and Great Britain - was not reached until the spring of 1916. The film was harshly treated by critics. While I often like movies that critics do not, in this instance, I agree with their assessment. This could have been a hard-hitting biography of a woman who is a role model for other women today, but seemed to focus on her personal failures rather than her professional accomplishments. I was not surprised to discover that the $36 million project grossed only $2 million dollars at the box office. That said, Nicole Kidman did the best she could with the script she had. I would compliment her on her accurate pronunciation of the Arabic phrases that she used in the film. Pass on this one. Letters from Baghdad (Between the Rivers Productions - 2018) is a better choice. I recently made a series of talks on the Middle East during a cruise - yes, a tough job - and one of the movies available to stream in the passenger staterooms was Beirut. Bottom line: Watch it - it is two hours of tense action with a reasonable story line. As a glimpse into Beirut in 1982, it is plausible. As an "inspired by actual events" documentary of the situation at that time, not probable. 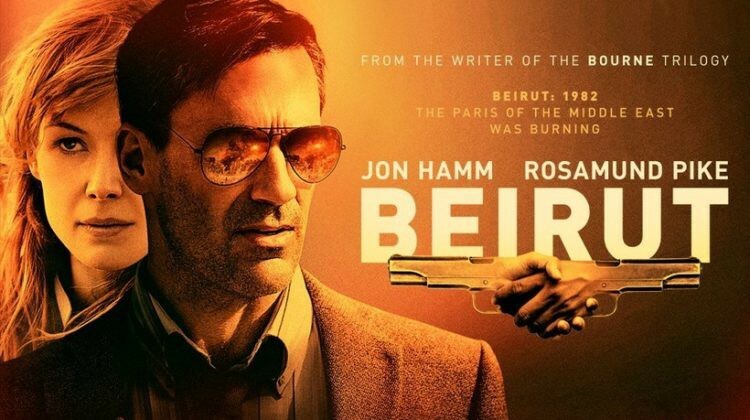 The movie opens with a really well-done scene set in 1972 at the Beirut home of the main character Mason Skiles, played by Jon Hamm of Mad Men fame. Skiles, a Sate Department diplomat, is hosting a cocktail/dinner party for a visiting congressional delegation - those of us who have served at American embassies in the Middle East will recognize the scenario. Skiles delivers an explanation of the situation in 1970's Lebanon that is brilliant, and alone worth the price of admission. The party is interrupted by an attack by Palestinian terrorists which sets up much of the later action in the movie. I will not go into too much detail so as not to spoil the movie for those who have not yet seen it. The remainder of the movie takes place in 1982, a few weeks prior to the Israeli invasion. 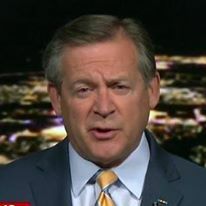 Skiles, who has retired, is called back into service to negotiate the release of a CIA officer who has been kidnapped by a Palestinian group. This takes place in the context of rising tensions between Israel and the Palestine Liberation Organization - the drums of war are beating as Skiles tries to arrange a hostage exchange. I enjoyed the interplay between the various factions that make up the American country team and the outsiders. The ambassador, CIA station chief, a visiting colonel from the National Security Council, and a CIA officer played (well) by Rosamund Pike, all functioned pretty much as they would in real life, with some minor exceptions in the station chief's activities, but this was Beirut in 1982. It was a wild time, as I recall. The Israeli angle is a bit overplayed, but it does make for good fiction. I recommend the movie as good entertainment, but not necessarily an insight into the situation in Lebanon at the time.